This beautiful Bell Tent with log burner is an open and relaxed space for people to gather, eat and rest together. It is water and weatherproof. 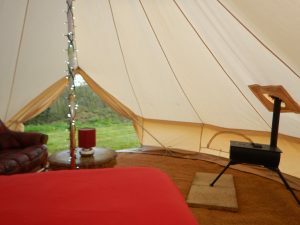 This beautiful Bell Tent sleeps 2-4 people and is furnished with a double bed along with any additional sleeping spaces required when booked. 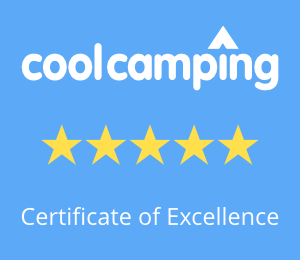 It has full electricity and WiFi keeping it an up to date location but with a wood burning stove to keep you cosy at night and maintain your camping experience. All guests are respectfully asked to remove shoes when wet.